Plan Your Perfect Holiday. Travel destination, hotel review, photos & travel advice for your lifetime adventure. Every articles and writings are completed by the pictures related to the objects. Here, you can find any recommendation for some favorite places that suit for your holidays, trekking or even honeymoon. There will be tips and knowledge about many things related to the destination, like the area, the local people, the tradition, the dos and don'ts for visitors safety trips. 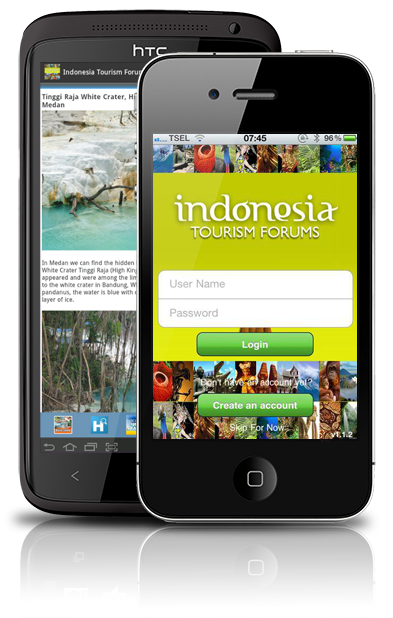 Download Indonesia Tourism Forum Application for FREE and you can bring it while you have your journey to Indonesia.